It’s been a while since the Android Wear devices have been released on the market. As a result, there are a lot of things that can be used on these devices such as applications or faces. In order to make your life easier, today we’re going to talk about the best Applications and Faces you can install on your Android Wear device. If you like trains, train stations and everything that’s related to them, then you will probably like the theme of the clocks that are inside the train stations. By using the Dutch Railway Station Clock, you will be able to bring this theme clock to your smartwatch. We’re pretty sure that there are a lot of people who want to customize their smartwatches using this application. Summer is here and a lot of people are preparing to go on vacation. Many of them will travel overseas to visit foreign countries. This is when Travel Watch Face kicks in and brings you a nice Face to your Android wear that also contains the temperature. Flightradar24 is a flight tracker application that was recently released for Android Wear devices. The application is quite old, but it was available only for smartphones, desktop web, tablets etc. However it has now been released for Android Wear and allows you to keep track of airplanes, see when they will arrive and where they’re located at that moment. Computer geeks will remember how often the blue screen error happened back in 2000. Well, if you’re “missing” those days, you can install this theme on your Android Wear device. When you want to see what time it is, you will see a blue screen with the error message: “An error has occurred. To continue press enter to return to windows or CLTR+ALT+DEL to restart your watch”. Of course, it will also show you the current time and tell you to press any key to continue. Calida is an application that will help you set the temperature in your house via your smartwatch. The Calida application is simply installed on your smartwatch and with it, you will be able to control the thermostat and keep your house at the temperature you want. 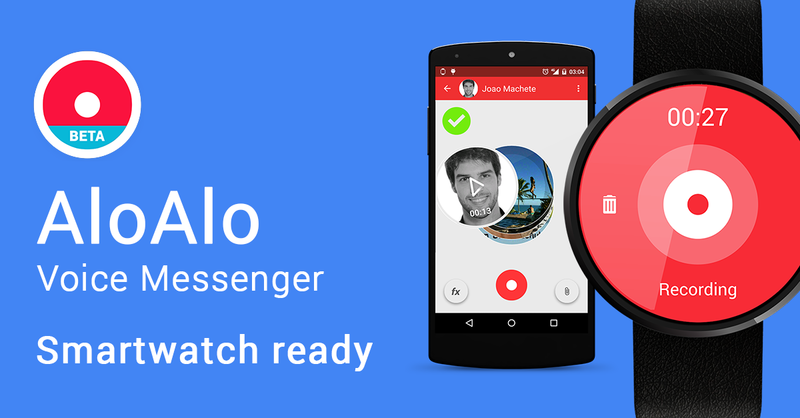 AloAlo is a application that you should definitely have on your Android Wear device. It allows you to send quick voice messages directly from your wrist. This application is very useful if you are on the move and you don’t have the time to write a message. By using this application, you will be able to set a simple alarm directly on your smartwatch and when the time comes, the wrist will vibrate. While this application is not that powerful, we’re pretty sure it can be quite useful for the people who don’t like to hear annoying alarm sounds from their smartphones. This application can also be used to remind you something that you will need to do and as soon as you feel that your smartwatch is vibrating, you will remember. 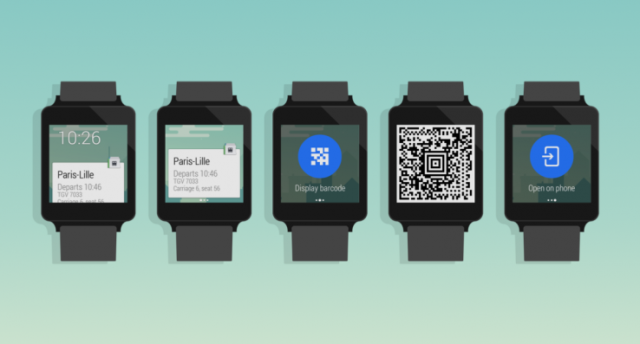 The Wear 5-Tiles application has been recently released on Android Wear. This application comes with a compact keyboard to your Android Wear device that you can use to compose messages on your smartwatch as you would do on your smartphone. However, for now, the application doesn’t work as it should and it seems that the developers will need to work on it a little more to make it run smoother. However, it is an application that you should consider installing. Wear Inactivity Coach is not designed to be a top fitness application, but it is a fun way to get you up more often from your chair or from that couch. If you want to have a healthier life, you should start working out and you can do this with the Wear Inactivity Coach. You will be able to put your coach to sleep, this means he will not bug you anymore during that day, hire a new coach that will match your activities and even unlock more coaches that have different personalities. Have you tested any of these applications or faces on your Android Wear yet? Tell us your thoughts about them!